Scott Jones Photography is part of what makes MottoMatters THE best site for motogp information on the planet. 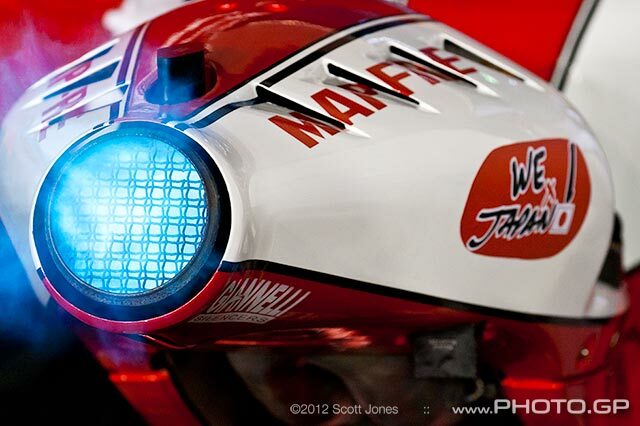 This Wednesday’s image is of the rear end of Hector Barbera’s, Ducati Desmosedici motogp bike. It was taken at the night race in Qatar in 2011. The blue flame is only visible for an infinitesimal fraction of a second. It’s the byproduct of unburnt gases that escape the combustion chamber and are then ignited in the super hot environment of the exhaust system. If you skip across to scottjones.net you’ll find more background on the shot. or misanthropic, how greatly do you wrong me…. I should never be allowed to pick up a spanner. My garage is full of parts of motorbikes. The detritus left over from long gone failures. Cast-offs, junk, scrap picked up from the side of the road. This Honda was the last to run and at the moment is the only one with all its bits still connected together, the obvious place to start right? About 12 months ago it blew off its side-stand on a particularly windy day (lifting a 210 kg VFR back up is a good reminder never to turn the front wheel back to center when parking it). 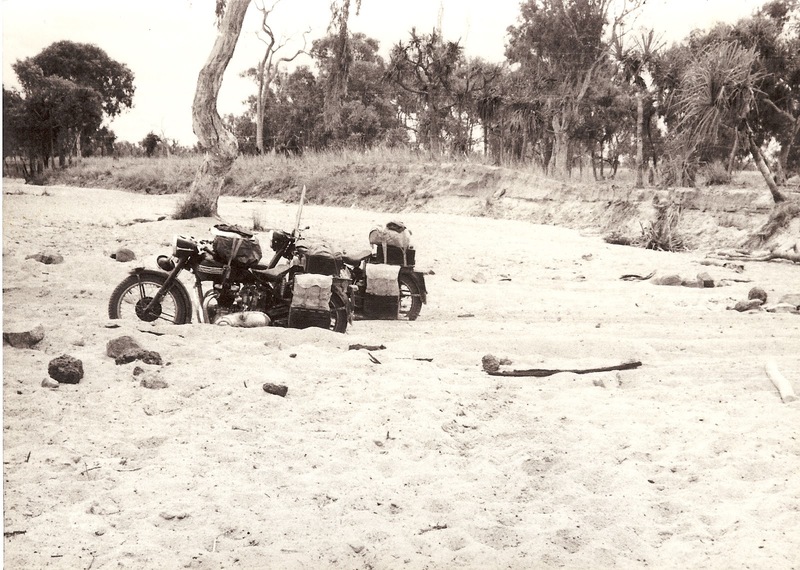 Then the Registration lapsed and as there are three cars and other bikes competing for that small bucket of money, it was parked and left to stew on its miscreant behavior. 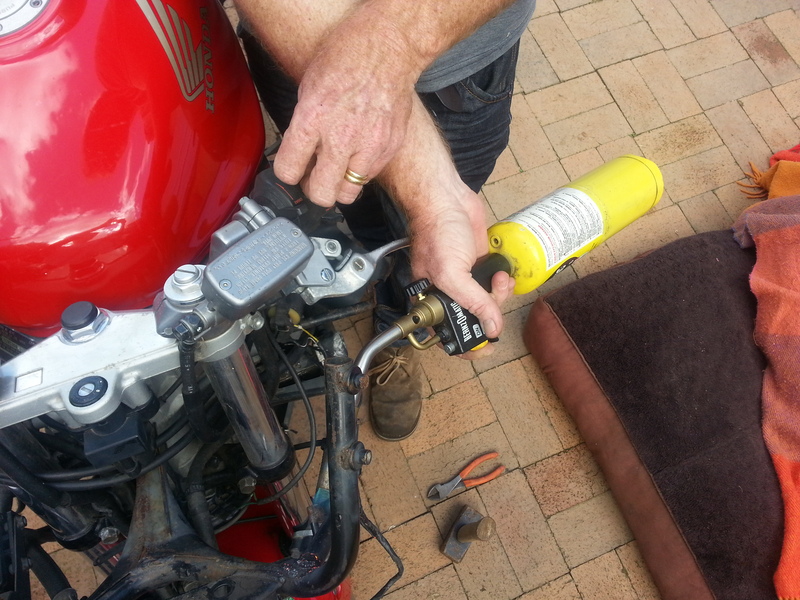 However the Phillip Island Motogp is only a few months away so time to get it running again. The front fairing stay was bent so I grabbed the lump hammer to straighten it out. 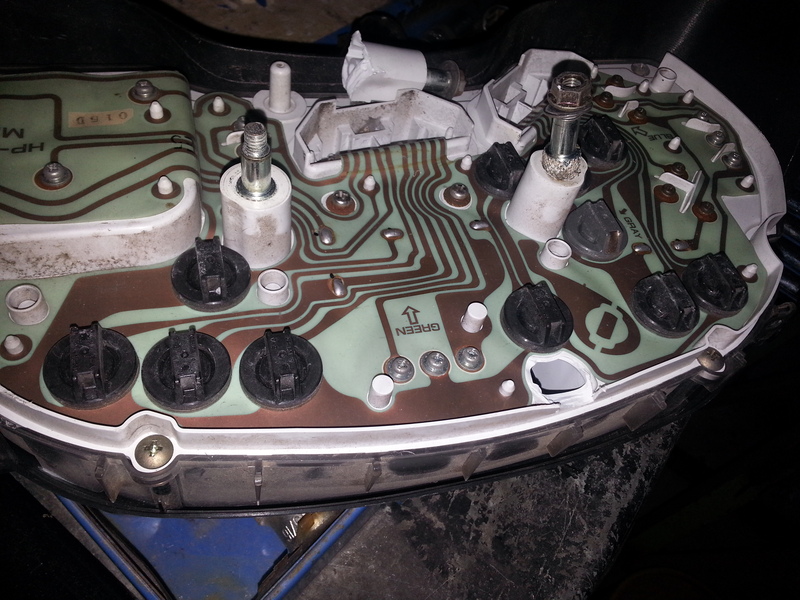 Nestled in between there is a fairly expensive circuit board for the electronic dash. ‘Better be careful not to smack that’ I thought when I should have been thinking, ‘Better you take that off Brett’. I managed not to hit it but belting the bejesus out of the stays that it was attached too did just as good a job of buggering it up. I’m hoping that a little plastic welding and some rubber washers (to help isolate any vibration) will get it fitted back on the bike. Whether I’ve done more lasting damage will have to wait till I can power it up again. It’s surprisingly difficult to straighten thin steel tubing like this; it just wants to spring back with each blow. Heat however is a wonderful thing for persuading metal and this MAPP gas I’m using is pretty much as hot as you can get in a portable container before having to go to the big rigs. Of course the lovely advertised figures of 3200 degrees F mean diddly squat in use; It’s the heat that’s getting into the metal that’s important and out in the open air that is a lot less than you’d think. Anyway it was hot enough to make the bracket a little more malleable. Apparently one trick if you want to use it for brazing or something that requires higher temperatures is to make a little cocoon out of insulation wool but I didn’t need to for this job. Anyway the stay is more or less straight, I just need to fix the instrument console now (sigh! ).